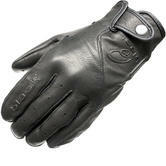 GhostBikes.com are proud to present the Black™ Axel Leather Motorcycle Gloves. Designed and developed by British bikers, the Axel gloves are a classic cruiser glove, perfect for riding around town on shorter journeys. Crafted from the highest quality Aniline leather, they boast a retro biker image, ideal for more experienced bikers that want to get back to their roots. Featuring a velcro secured, elasticated closing wrist system, the Axel gloves could well be all you'll ever need for the ultimate riding experience. 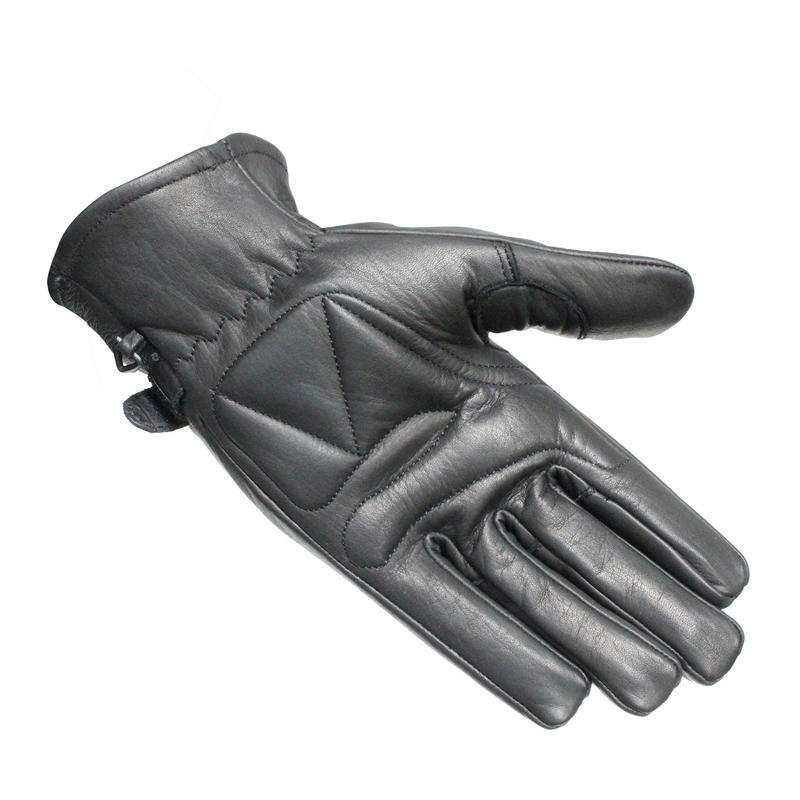 A soft touch inner liner increases comfort levels, and this, twinned with the discreet palm padding for added abrasion resistance makes this pair of gloves like no other. 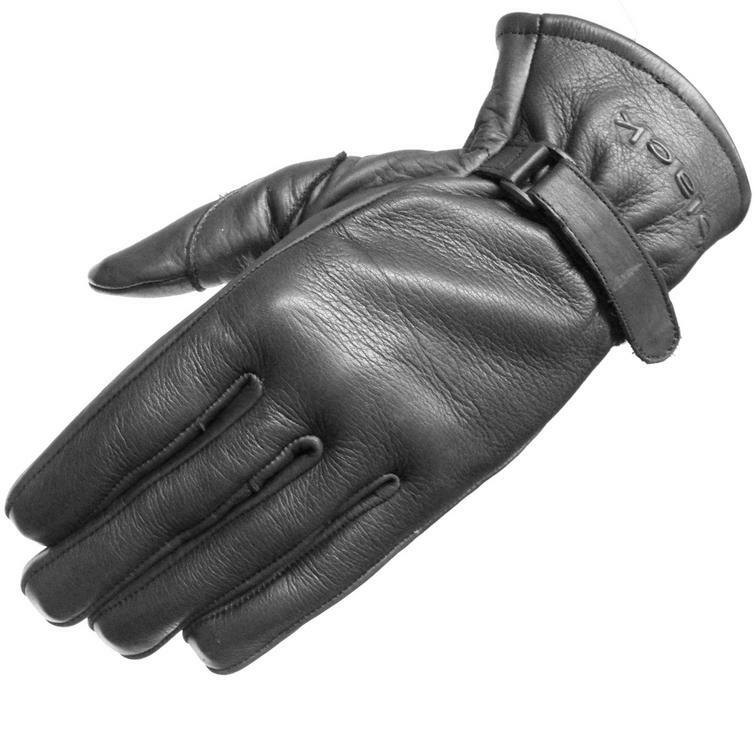 An absolute steal for a quality product designed and developed in the UK, get your Black™ Axel Leather Gloves from GhostBikes.com today! For Black™ Biker Boots please click here. For Black™ Motorcycle Jackets please click here. For Black™ Motorbike Trousers please click here. 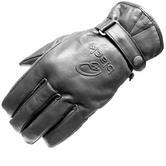 For Black™ Motorcycle Gloves please click here. For Black™ Motorcycle Accessories please click here. 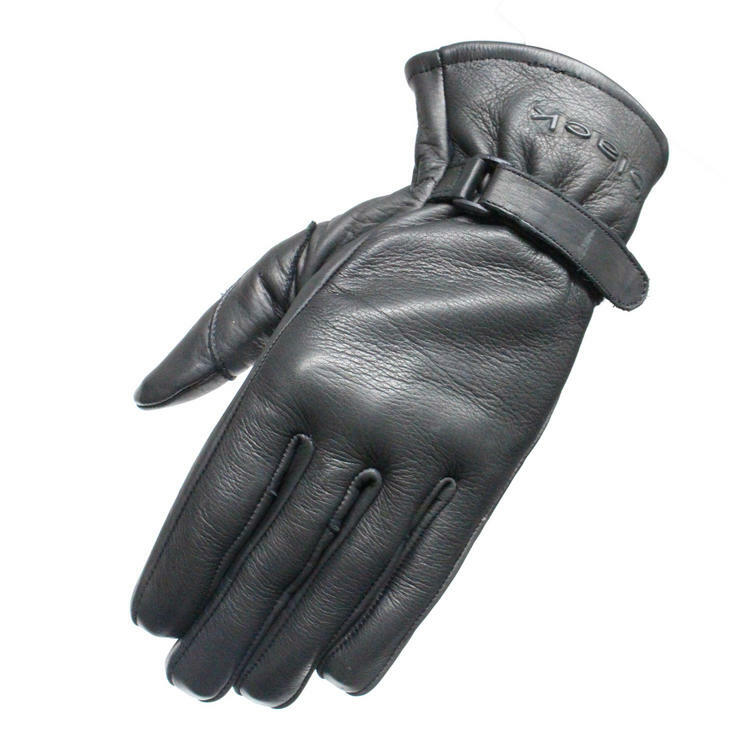 The Black™ Axel Leather Motorbike Gloves are packed with features! The Black™ Axel Motorcycle Gloves are currently available in the colours shown in the product variation above. If there is no variation option, they will be available in the colours as shown in the pictures above.